Shopping for Deadpool Pop! Vinyl Figures? Celebrate the holidays with an adorably festive comic book hero! 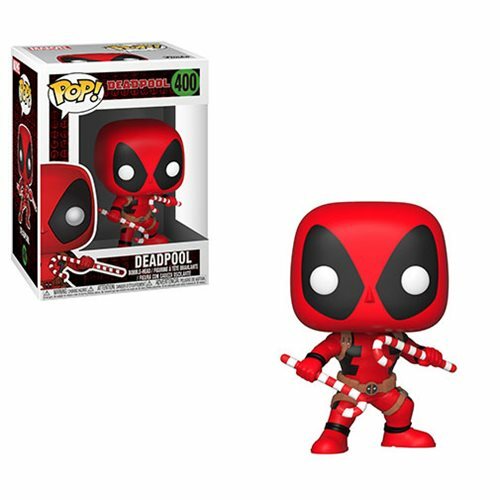 This Marvel Holiday Deadpool with Candy Canes Pop! Vinyl Figure #400 measures approximately 3 3/4-inches tall. Comes packaged in a window display box. Ages 3 and up. Made in Vietnam.